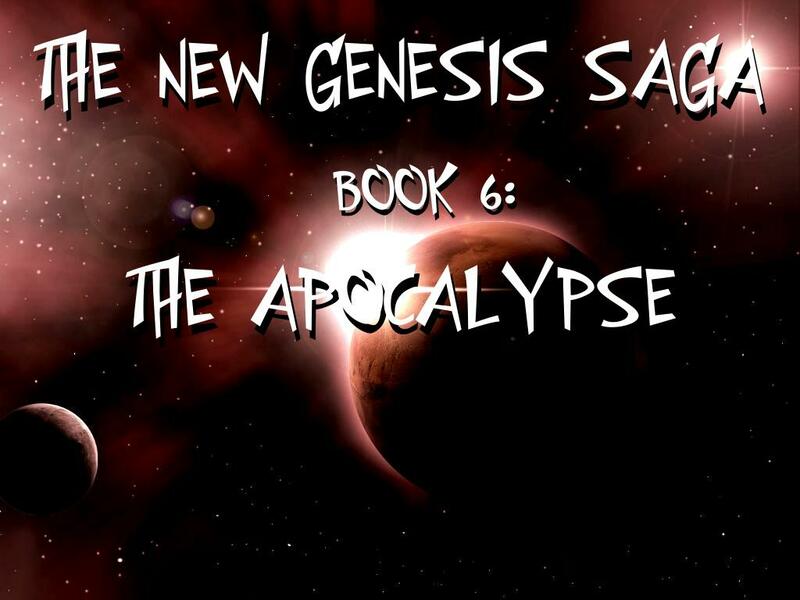 The New Genesis Saga - Book 6: The Apocalypse. All hell breaks loose in this exciting conclusion to the "New Genesis Saga." The colonists become split over differences and a civil war begins. New enemies reveal themselves, as well, adding to the chaotic climax.